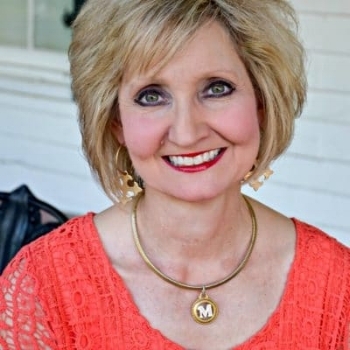 I am thrilled today to have guest writer Mitzi Neely here to share her story with us. Welcome Mitzi, and thank you for visiting here at More Than Yourself! Over a decade has passed since I started preparing for a very specific job. I had received the required certifications, logged hundreds of hours of training, and waited for just the right opportunity to make my move. I developed a very specific plan of action to ensure I was ready to apply the moment something opened up. In fact, all those years ago I had laid out every painstaking detail it would take to compete for a position of this caliber. I was very clear in my prayers that I basically had a 10 year time frame to reach this promotion destination, and then time would have run out. I was in my twenty-fourth year of teaching when I felt God calling me to step out of the classroom and make the move to school administration. As teachers we call this, ‘moving to the dark side.’ I didn’t really care for the phrase much, but I understood the intent. So I did it. I moved to the principalship of an elementary campus, and from there to high school principal, to a central administration position, believing along the way that God had placed me right where I needed to be to one day lead a district. As I garnered the necessary experiences to be qualified for a top spot, I paid close attention to districts within close proximity with openings, where I would potentially be a good fit. I will tell you that while I was searching for just the place God needed me, I was also fervently praying to not have to move away from my family, my home city, my aging mother, my friends, my church….you get the point. I really did believe that God would provide an opportunity close to home, as I was not willing to sacrifice what I had for what I wanted. So when an opportunity presented itself close by I took a chance. I had to strongly consider the fact that I had a favorable relationship with a particular district, but I also carried baggage with me that didn’t belong to me. It belonged to someone else. There had been extraneous things going on behind the scenes that I had no knowledge of, nor any control over. So I pressed on and weighed the pro’s and con’s of the position. There was a lot to consider. I thought about not applying but my conscience kept saying, ‘you’ll never know if you don’t.’ I continued to pray about it and made the decision to go through the paperwork process, submit the application packet and wait. The day came when I received a phone call for a first round interview. I was pretty surprised that I had received a call at all, but I believed as long as God opened the door I would be willing to walk through it. The first round interview came and went. All pretty general stuff, but there were a few pointed questions that I knew had underlying meanings. I couldn’t quite figure out what the interview team was after, but I didn’t have a good feeling. Fast forward to the next week and I received a second call to be one of the final three candidates for the position. Even with my ‘not so good feeling,’ I remained optimistic. The door was again open and I would be obedient and walk through it. I can tell you from the moment the first question was asked that night, nothing was as it should have been. The interview team seemed to be very split on what they were looking for. One part of the group was going after the ‘baggage’ I couldn’t separate myself from. The other part of the team looked as though they were trying to showcase the positive qualities and characteristics I could bring to the table. What I had hoped would be the start of something meaningful could only be described as outside the scope of what the entire experience should have been. When I finished the interview that night I left knowing I wouldn’t be the candidate of choice. They had made their decision. I was disappointed of course, as this position was something I had worked for and wanted. And the disappointment hit home when I received the phone call from the search firm confirming that I had not been selected. There were a few tears of course, but surprisingly not as many as I had expected. This was a place I thought I had wanted to be. It was about tradition, and family, and going home in a sense. I kept analyzing how God could have let me walk this journey when He already knew the ending. But after a few days of replaying the sequence of events and wondering why, I began to see what God wanted me to see through all of this. And while God knows I didn’t go into this experience with blinders on, I had hoped that people would see my value and know that I would serve them and their community to the very best of my ability. Ultimately though, God had a different plan. He wanted me to see things for what they really were. He wanted me to see the situation I would be in and recognize it was not what I needed. He wanted me to see that the things I believed were important to move forward were not important to them. And, He wanted me to see that things were different. In the end, nothing I could have said or done would have changed their minds. As I assessed the situation I believed I had failed. I had not achieved that last big personal goal on my career list. I had been working on this for over a decade and it was the final checkbox for success. What could I have done differently? There wasn’t anything that could have been done. You see, that’s how the enemy misleads us to believe his lies. He plants seeds of doubt. He wants us to believe that circumstances, failures, and successes define us. He wants us to believe that we have been ripped off, short changed, and wronged. None of that is truth. We are defined by our maker and creator. It’s about who we are. It’s about how well we hold up in the midst of adversity; it’s about how well we deal with disappointments, big and small; and it’s about how well we rebound and see God’s hand of protection in all that we do. There is no doubt that I could have let a grudge take root in my heart. It is our humanness that allows us to slip off into the brink of unforgiveness. It would have been easy to do, but I knew I was better than that. I am a ‘Daughter of the King,’ who is bigger than any issue, challenge, problem, person, or situation. And I am most thankful that He sees the big picture and knows what is best for me, even when I don’t see it or understand. I could have become discouraged and lost my way. I could have hung my head in shame believing I had failed. Or, I could have made the decision not to pursue this opportunity. But what would I have gained from believing these mistruths? Instead, this situation breathed new life in me and a totally different plan and direction. I had so much to be thankful and grateful for. In the midst of the disappointment I realized I was already doing exactly what I wanted and needed to do. And I had to remember that while things did not go the way I had planned, they did go the way I had prayed. And that was God’s plan for me all along. Mitzi Neely is an inspiring motivational speaker who encourages women of all ages through her experiences and shortcomings. She has been blessed with a passion and love for people that stretches across the generations. Her heart is to lighten your load, while conveying her message that nobody’s perfect. So often God places certain people in your life at just the right moment; whether the reason is to help teach you, help you grow in your walk with Him, or to simply love and lift up others. Whatever your struggle or need, you will find encouragement through her words as she refreshes your heart and renews your joy. Follow Mitzi at www.peacefullyimperfect.net because the joy of the journey is learning in His word together. If you are joining me for the first time, welcome! We are chatting this month about making decisions and diving into what God's Word says about it, too. Sometimes when we're in the midst of a life-changing decision, we feel alone. Like no one else understands. The enemy would like for us to think we are alone, but the truth is that other women have been in that place. And when we connect, we can encourage each other through our shared moments. Last week we read words of wisdom from Abby about a cross-country move. Her lesson brought fresh hope for those of us right smack in the middle of a decision that will affect us and our families. This week I am excited to share a devotion by my dear friend Tiffany Parry. Tiffany tackles this tough reality. Our circumstances can push us into making rash, emotion-induced decisions. But Tiffany takes us to a passage of Scripture that points to the solution when we're tempted to let those circumstances dictate our direction. In her post, Tiffany says this. Click here to read the rest of Tiffany's devo, When You Need Direction. Tiffany is marveled by the endless grace and relentless love of her Savior in this life that can be so messy, too busy, and entirely imperfect. Her heart is to share God’s precious promises of grace and love with others and invite them into honest and authentic conversations about faith and life. Tiffany welcomes you to join the journey at her blog, Simply for One, or on Facebook and Instagram. Sign up for the Decisions Challenge HERE!